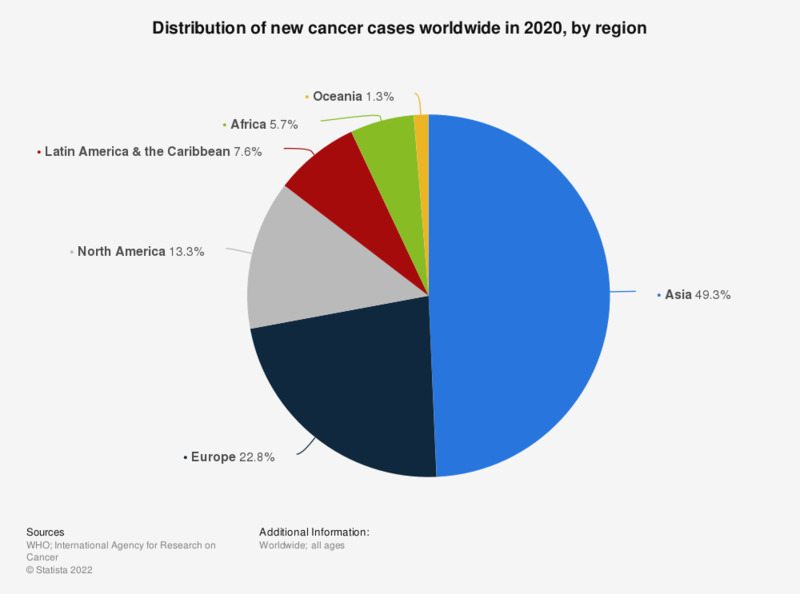 This statistic depicts the percentual distribution of new cancer cases worldwide in 2012, sorted by region. For both sexes of all ages the total number new cancer cases was estimated to be approximately 14.1 million in 2012. Alomost 22 percent of these new cancer cases were estimated to be in China.